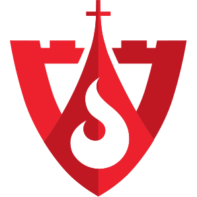 Editor’s Note: The following is a recent article by Carl E. Olson reproduced with permission of the Catholic World Report. We are grateful for their consent to share this important piece with our readers. The practice (or “process”) of “mindfulness” has been getting much attention in recent years, crossing over into mainstream, as evidenced by books with titles such as 10-Minute Mindfulness, Mindfulness for Beginners, Mindfulness: An Eight-Week Plan for Finding Peace in a Frantic World, and The Miracle of Mindfulness: An Introduction to the Practice of Meditation (the latter by popular Buddhist monk and author Thich Nhat Hanh). But mindfulness has now, says author and journalist Susan Brinkmann, OCDS, author and award-winning journalist, who is a member of the Third Order of Discalced Carmelites (secular) and staff journalist for Women of Grace, “one of the hottest new spiritual practices of our day. … Corporate executives, Hollywood stars, medical doctors, teachers, secretaries, and even clergy are avidly embracing it.” But what, exactly, is mindfulness? What are its roots and its goals? And is it compatible with Catholicism and the Catholic spiritual tradition? 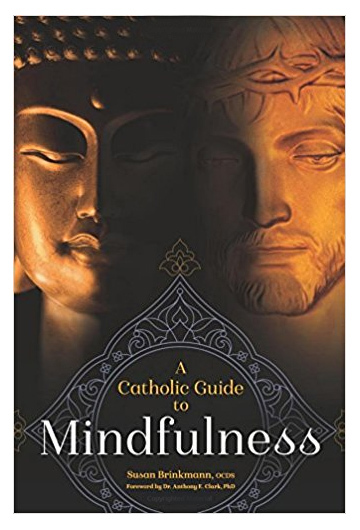 Brinkmann, who wrote the recently published book A Catholic Guide to Mindfulness, corresponded with CWR editor Carl E. Olson to discuss mindfulness and to offer a Catholic perspective. CWR: For those who aren’t familiar with it, what is the mindfulness movement? What are its roots and aims? Susan Brinkmann: The mindfulness movement is a psycho-spiritual movement that is mainly driven by psychologists who have adapted an ancient Buddhist meditation practice as a means for helping people who are suffering from a variety of mental health issues. Mindfulness is derived from the Buddhist tradition and is the seventh step in the Noble Eightfold Path, which Buddhists believe is a process that leads to awakening to one’s true nature. Known as Right-Mindfulness, it means controlling thoughts by maintaining awareness and focus on the present moment which is usually accomplished through some form of meditation. The man responsible for introducing mindfulness into medicine in the West is a biomedical scientist named Jon Kabat-Zinn. A practicing Buddhist and board member of the Mind and Life Institute, an organization dedicated to “exploring the relationship of science and Buddhism as ways to better understand the nature of reality,” Kabat-Zinn always believed his karmic assignment was to find a way to bring his dharma practice together with his scientific pursuits to create one unified whole. While on a vipassana retreat, he had a vision in which he “saw” a way to do this, through a program he would later call the Mindfulness Based Stress Reduction (MBSR) program. This program was designed to be a patient-centered approach which could be used in hospital settings to treat persons with PTSD and other stress/anxiety disorders. However, with the core of the program being intensive training in mindfulness meditation, he knew these Buddhist roots would make many people nervous and so he “bent over backward” to find ways to employ the program without revealing its Buddhist roots. To this day, many psychologists who use the program insist that it’s not spiritual and that it can be detached from its Buddhist roots. But, as my book details, this defies the facts as well as the research which has found that mindfulness and spirituality interact and that both are important mechanisms through mindfulness-based interventions exert benefits. CWR: What are some examples of its popularity? Why has it proven to be so successful? What is the attraction? Susan Brinkmann: According to the latest Pew report, eight in ten Americans are afflicted by stress, so it’s no surprise that a program offering relief from anxiety, without drugs, would be appealing. But what turned mindfulness into a phenomenon is a constant drumbeat of positive media reports about the alleged health benefits of the practice. As a result, what appeared to be early successes in the use of MBSR led to the creation of the Center for Mindfulness in Medicine, Health Care and Society at the University of Massachusetts Medical School through which Kabat-Zinn’s program entered the mainstream. This, in turn, spawned numerous scientific investigations. At first, these studies were reporting positive effects of the practice of mindfulness such as improving brain and immune system function, lowering blood pressure, improving sleep, treating binge eating and even reducing the pace of cellular age. Particular emphasis was put on its use in the treatment of stress, anxiety, and depression because of how the practice taught people to “stand back” from their thoughts and simply observe them without trying to control their emotions. From there, it became popular for other treatments such as relationship and educational issues. For years, mindfulness enjoyed almost a constant flow of positive research until recently, when scientists began to look at these studies more closely. In 2014, researchers at Johns Hopkins University in Baltimore reviewed nearly 19,000 meditation studies and came up with just 47 that met their criteria for a well-designed study. Some of the problems included lack of adequate control for placebo, self-selection bias, small cohorts, etc. Of the 47 studies that made the cut, the science found only a small to moderate effect of mindfulness in reducing emotional symptoms and no evidence that mindfulness programs were better than other treatments. Many scientists realized that the reason there were no negative reports about mindfulness is that too few studies bothered to look for adverse effects. More attention began to be paid to this area of research which uncovered a long list of psychological and physical side effects of mindfulness meditation including depersonalization, psychosis, hallucinations, disorganized speech, feelings of anxiety, loss of appetite and insomnia. And these are not isolated findings. One study found that 63 percent of the group studied had suffered at least one negative effect from the meditation. CWR: Who are the major proponents of mindfulness discussed in your book, and how have they become influential in current Catholic practices? Susan Brinkmann: The practice of mindfulness has been taken up by many Christian psychologists who have been relying on these faulty studies as a reason to introduce the practice to their clientele. Even though many of these psychologists insist that one can separate the practice of being mindful from mindfulness, the main way to achieve this mindfulness is through the practice of some form of meditation such as Breathing Space Meditation, Body Scan Meditation, Movement Meditation – all of which are Buddhist practices. This contradiction has spawned a great deal of ambiguity among the faithful which has led many to raise important questions about its use by Christians. If it’s just a particular method of paying attention, then why are Buddhist meditation techniques required? Even more concerning is the number of Christians who incorporate aspects of mindfulness meditation into their prayer life, not realizing that eastern meditation is not compatible with Christian prayer. Meditation in the east is a mental exercise designed to bring about an altered state for the purpose of achieving enlightenment. In the West, meditation means prayer which is intended to draw one closer to God. For example, in my book, I tell the story of a woman whose husband had taken up the twice-daily practice of Body Scan Meditation to help him cope with stress. The family had been in the practice of praying together every night and he decided that he would no longer join them and would practice his mindfulness meditation instead. When she confronted him about it, saying that prayer is more restful, he disagreed and asked her to leave him alone. Whether one intends to drift away from Christianity or not, taking up the practice of mindfulness meditation can indeed lead one away from the faith. CWR: Mindfulness, as you noted, draws on Buddhist ideas. What are the key problems with this approach? In what ways are Catholicism and Buddhism incompatible? Susan Brinkmann: As Dr. Anthony E. Clark says in the foreword of the book, the direction one drives a car determines the place one arrives at, and our spiritual practice is no different. “When one understands well the intentions of Christian prayer and mindfulness, it is clear that, at their root, they point in contrasting directions,” he writes. Many Catholics believe Buddhism is not really a religion because it doesn’t involve the worship of a god. It’s more of a philosophy or system of ethics, they say, and is harmless. However, upon closer inspection, we quickly realize that this is just one of many diverging philosophies that make Catholicism and Buddhism completely incompatible. For example, on the most basic level, Buddhists do not believe in the existence of the soul. They believe people who think they have a soul are rooted in ignorance and in a desire to please one’s “self” and that we become truly enlightened only after we come to the realization that there is no such thing as a soul. Christians not only believe in the existence of the soul, but that the soul can achieve eternal life through Jesus Christ. Christians believe suffering brings us closer to God and unites us with our Suffering Lord. Buddhists believe suffering is something to be escaped from. Christ teaches that He is the “Way, the truth and the life,” (John 14:6), but the Buddha teaches that every person must find their own path to enlightenment. Both faiths teach love but the Christian agape love is personal, individual and free-willed. The Buddhist teaches karuna, an impersonal feeling of compassion. The best way to understand what a stark difference this makes between the two faiths is found in the Buddhist story of the saint who gave his cloak to a beggar. The Christian gives his cloak to the beggar because of Christ’s love for the beggar. The Buddhist gives his cloak to the beggar because it’s the enlightened thing to do. In other words, the Buddhist’s concern is not for the welfare of the beggar, as is the Christian, but for the liberation of the giver from the burden of self. Another problem I have seen stems from erroneous interpretations of Nostra Aetate, the Declaration on the Relationship of the Church to Non-Christian Religions. This document says that we are permitted to adopt what is good from other religions because it believes that other religions “often reflect a ray of that Truth which enlightens all men.” What is often overlooked, however, is that a reflection of a ray is not truth that is directly from the source, but only a reflection of the source that is found in the Catholic faith. This is why prominent theologians such as Cardinal Jean-Louis Tauran, president of the Pontifical Council for Interreligious Dialogue, warned that the poorly-catechized Christian should not engage in any kind of interreligious dialogue because this is only for doctrinally equipped Christians. And in regard to incorporating eastern meditation techniques into Christian prayer, Cardinal Joseph Ratzinger teaches in A Letter to the Bishops on Some Aspects of Christian Meditation that we can adopt what is good from other religions “so long as the Christian conception of prayer, its logic and requirements are never obscured.” Herein lies the problem. Buddhist meditation techniques such as mindfulness, by their very nature, are diametrically opposed to the Christian conception of prayer, which is “the raising of one’s heart and mind to God.” Buddhist meditation focuses on the self, while Christian meditation focuses on God. In lieu of all of the above, St. John Paul II issues a well-founded warning in Crossing the Threshold of Faith that because the Buddhist and the Catholic have an essentially different way of perceiving the world, the Christian who wants to embrace ideas originating in Eastern religions needs to “know one’s own spiritual heritage well” before deciding whether or not to set the Faith aside. CWR: You have a chapter on Catholic alternatives to Mindfulness. What are some examples? Why are some Catholics so eager to use something like Mindfulness rather than seek spiritual riches in the Catholic Tradition? And how can this book serve to clarify common confusions about mindfulness as a supplement to Catholic prayer? Susan Brinkmann: In my experience teaching Carmelite spirituality, I have learned that the reason so many Catholics are adopting or attempting to blend eastern meditation techniques into their prayer life is because they sincerely don’t understand what Christian prayer is all about. The Church’s mystical tradition is rarely, if ever, addressed from the pulpit, which leaves many vulnerable to being drawn into eastern forms of prayer that are not compatible with Christian prayer. For example, most are completely unaware that we have our own form of “mindfulness.” We are taught to “put on the mind of Christ” (1 Cor 2:16) and in order to do that we must “take captive every thought to make it obedient to Christ” (2 Cor 10:5). We do this by adopting practices such as the Sacrament of the Present Moment and the Practice of the Presence of God, both of which teach us how to be mindful of the everyday moments of our life and what God wills for us in each of those moments. Contrary to mindfulness, the Catholic focus on the present moment is not to enter a state of self-awareness, but into a state of abandonment to the will of God. We remain in the present not for the sake of the present, but for the sake of discovering the voice of God as He speaks to us in each moment of our day. This book devotes three chapters to explaining, in concise and easy-to-understand language, the differences between the Buddhist and Catholic mystical traditions. It will be of great help to the faithful as well as the clergy, religious, catechists and spiritual directors who seek to guide them. CWR: What do you say when high profile, orthodox Catholics, endorse mindfulness? Susan Brinkmann: It’s not at all surprising that even the most learned Catholics would endorse mindfulness. Just like any other spiritual fad, of which the New Age is full, it takes a lot of time and effort to cut through the hype and get to the facts. By their own admission, not everyone has the time to do this. After 14 years of experience researching the New Age, which includes eastern meditation practices under its wide umbrella, I can say that most people – even those who should know better – are woefully uneducated about New Age practices. I have had priests, bishops, doctors, lawyers, seminary professors, and even the practitioners themselves admit that they don’t know what they believe they should know about a particular practice. This is further complicated by the fact that there are very few Catholic researchers into the area of the New Age who make their work available to the public. Father Mitch Pacwa, Johnnette Benkovic, myself, and maybe a few others. However, the demand for this information is widespread. The New Age Q&A blog that we maintain at Women of Grace has more than 1,000 entries in its index and has been answering a never-ending stream of questions from around the world on a daily basis for almost 10 years now. Considering the above, this is why I warn the faithful that even though such-and-such “big name” Catholic endorses mindfulness, a “big name” endorsement is not the same as an imprimatur. Especially in the case of book endorsements, if the title of the work has the word “Catholic” in it, the author has a moral obligation to have the work reviewed by the appropriate Church authorities to make sure that the content is in keeping with the Magisterium. As an author myself, I always consider the slight delay required to get an imprimatur a small price to pay to avoid becoming the “millstone” around the neck of someone that I led astray. The bottom line is that, as my book details, there is enough credible evidence to prove that no one needs mindfulness for anything, either as a therapy or as an adjunct to their spiritual life. For more on “A Catholic Guide to Mindfulness”, listen to a Divine Intimacy Radio episode with an interview with Susan Brinkman here.